Costa Rica is a perfect destination for those who are looking to be disconnected from the busy world and get in touch with nature, wildlife and beautiful and warm pristine beaches. In the Pacific side, we have the most beautiful beaches in Costa Rica, however we cannot forget the Caribbean side of the country where there are more amazing beach spots and there is where we can find the Afro Caribbean culture. The Pacific side is divided into three areas: the North Pacific covered by the Guanacaste province, the Central Pacific and the South Pacific covered by Puntarenas province, where Tortuga Island is located. All the regions are singularly beautiful and in all of them you can be amazed by its nature, its own climate and a lot more of natural attractions to discover. The Tortuga Island tour can be made as a “one day tour” from Nicoya Peninsula, Jacó, Puntarenas or the Central Valley hotels; so if you are staying in San José while enjoying one of your Costa Rica vacation packages, you can perfectly take this amazing and relaxing tour. 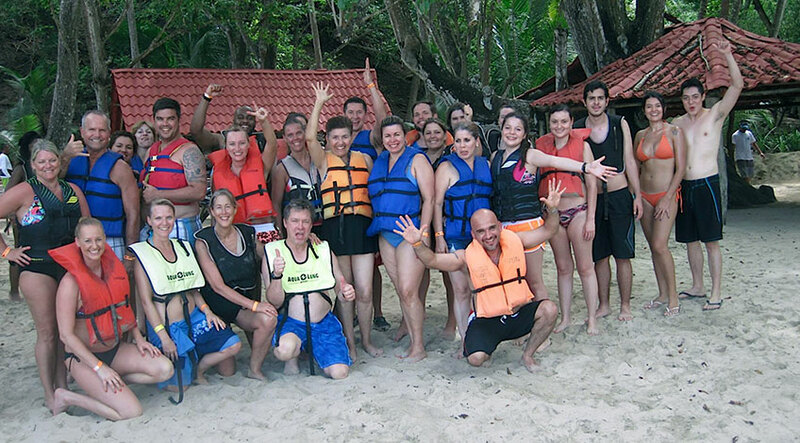 We would like to share with you, the experience a client had when visited Tortuga Island, during her trip to Costa Rica. “I put several places on my list for my family vacations, but in the end, I discovered many more places that I were not aware of. I was at a beautiful island called Tortuga (Turtle). Tortuga Island is a remote island in the Gulf of Nicoya, and it is a popular destination. The island has white-sanded beaches with clear and warm water which makes it perfect for relaxing. The beaches are full of coconut trees, giving it a very tropical look, and at the same time, shadows from the sun. Once on the island, a lot of activities are offered, like swimming, hiking, sunbathing, beach volleyball and adventure activities like canopy tours and kayaking. The island if perfect for enjoy some Costa Rica birding tours, due to the variety of bird species that live in the island. Costa Rica tours here usually start from Puntarenas or Jacó, and the trip from the mainland to the island takes around 90 minutes. Two of the most popular activities in the area are snorkeling and scuba diving, taking advantage of the clear waters, which provides another perfect shot at watching the rich sea life of the Gulf. 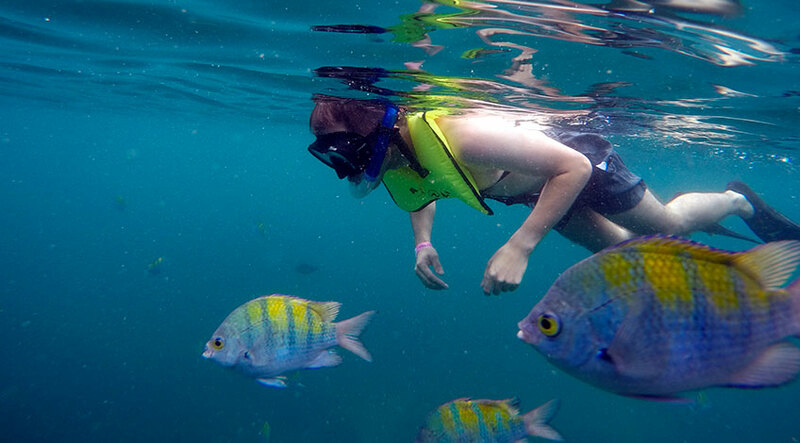 You will have the chance to see angel fishes, sting rays, dolphins, and sharks, among others. A visit to Tortuga Island is a great opportunity to relax and get away from the city in a one-day tour. Talk to your Costa Rica travel agency to book the tour and activities that are offered in the island. It is a short trip that will reward you with its natural beauty, and could be perfect as part of your honeymoon in Costa Rica. It is a secluded area, where there are no hotels or buildings to stay. It is very close to Curu National Wildlife Refuge, which is a tour offered from the Nicoya Peninsula due to the proximity. It is also conformed by two small islands called Tolinga and Alcatraz; Tolinga (name used by indigenous inhabitants) is the one that can be visited during your Costa Rica family holiday and has an extension of 120 hectares. It is a protected forest with blue flag of conservation, so it is free of pollution. During your family adventure tour to Tortuga Island, you will have great moments, as you will share with other tourists, create new memories and be part of your trip for a lifetime. The adventure begin on a catamaran where there is a place with air conditioning, another “open-air” part conditioned to relax, rest and sunbathing. 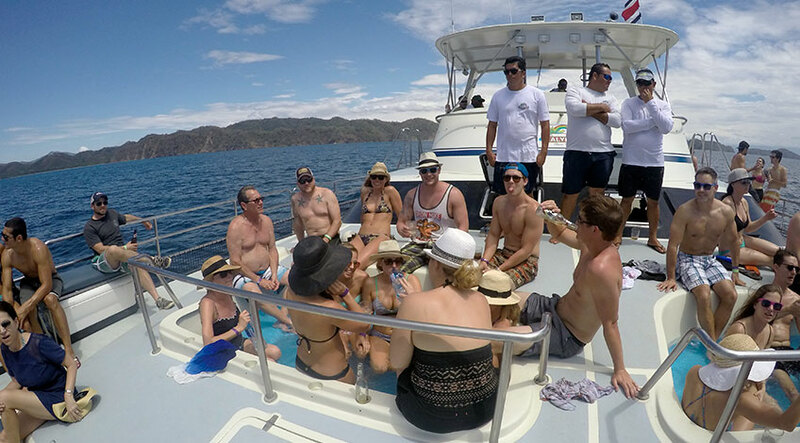 During the trip on the catamaran, you can take a drink or use the Jacuzzi on board or just admire the beautiful landscape. You will stay around five hours in Tortuga Island and will have lunch there. The family adventure in the island will include a lot of fun and adrenaline on the water: there you can choose banana boat, snorkeling, kayak, paddle board and jet ski. Remember that this is just one of the amazing destinations and prettiest beaches, but you have much more to discover. Please leave us a comment about this article and contact us if you want to have more information about this incredible country, our travel experts are waiting to hear from you.